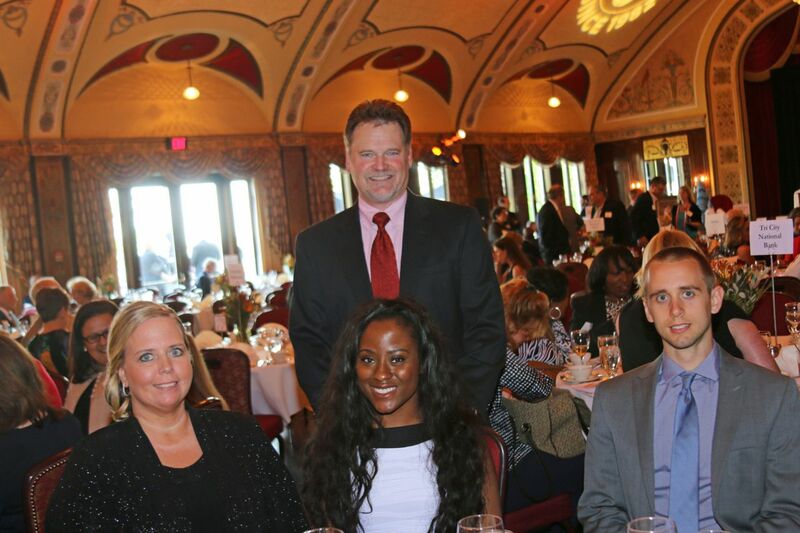 Ninth Annual Grateful Plate Event | Hupy and Abraham, S.C.
On June 10, 2015, Hupy and Abraham, S.C. sponsored Feeding America Eastern Wisconsin’s “Ninth Annual Grateful Plate” charity dinner. Feeding America’s mission is to try to eradicate hunger in the area. Attorney Jim Shilobrit attended the dinner as a firm representative. Attorney Shilobrit with Hupy and Abraham, S.C. employees. TV Personality Tiffany Ogle of TMJ4’s “The Morning Blend” reprised her role as the event’s hostess. Ogle shared her personal experiences with hunger from her childhood, and explained how hunger knows no stereotypes. More than 300 people gathered to raise funds to promote hunger’s existence in the community. Guests could donate to the organization through a silent and live auction and by general donations. Feeding America Eastern Wisconsin has helped 124,000 children in area last fiscal year. Hupy and Abraham, S.C. has been a long-time sponsor of the “Grateful Plate” event. In addition to supporting Feeding America, the firm helped feed more than 10,000 people during the 2014 holiday season.